Zenit Saint Petersburg are prepared to lower their financial demands for Chelsea and Paris Saint-Germain midfield target Leandro Paredes. The Argentine midfielder’s future at Zenit has been a source of speculation this month as he has been linked with a move to two of the biggest clubs in Europe in the winter window. Paredes has been on Chelsea’s radar and the club have been in talks with Zenit, but no agreement has been reached between the two outfits. PSG got in touch with Zenit for Paredes as well, but quickly made it clear that they will not sit at the negotiating table at the price the Russians have been demanding for Paredes. Zenit are reportedly asking for a fee north of the €45m mark, but according to French sports daily L’Equipe, the club are now ready to lower their demands for the Argentine midfielder. 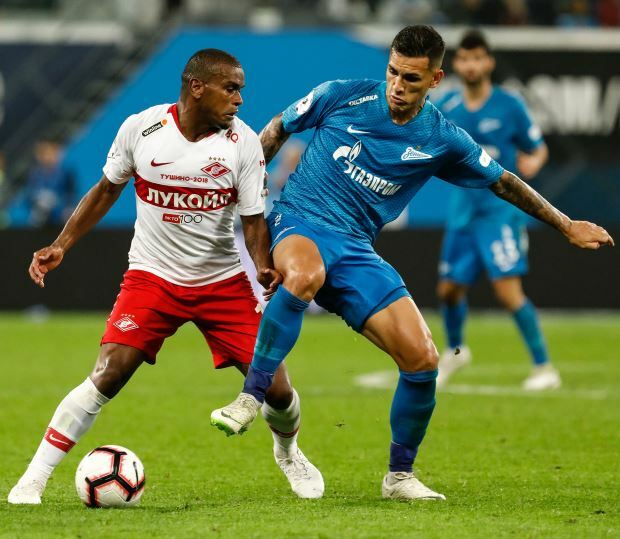 With PSG and Chelsea not keen to meet their terms, it seems Zenit have been forced to rethink their strategy with regards to selling Paredes. The Argentine wants to leave, with both PSG and Chelsea keen on him, but for the moment there are no agreements in place for his departure from Zenit. Paredes' agents have agreed on a contract with Chelsea, but he is reportedly prepared to prioritise a move to PSG over the Premier League giants.